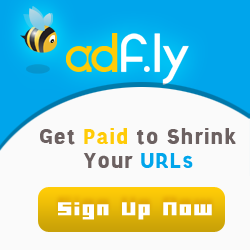 There are many Android programming guides that give you the basics. This book goes beyond simple apps into many areas of Android development that you simply will not find in competing books. Whether you want to add home screen app widgets to your arsenal, or create more complex maps, integrate multimedia features like the camera, integrate tightly with other applications, or integrate scripting languages, this book has you covered. Moreover, this book has over 50 pages of Honeycomb-specific material, from dynamic fragments, to integrating navigation into the action bar, to creating list-based app widgets. It also has a chapter on using NFC, the wireless technology behind Google Wallet and related services. 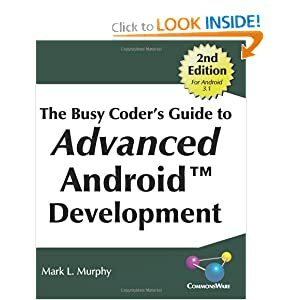 This book is one in CommonsWare's growing series of Android related titles, including The Busy Coder's Guide to Android Development, Android Programming Tutorials, and the upcoming Tuning Android Applications. CommonsWare is pleased to continue supporting the Android development community with this updated version of The Busy Coder's Guide to Advanced Android Development. From technical support on StackOverflow, to open source components, to conference presentations, CommonsWare is actively working to make Android application development as productive and painless as possible.